The beauty industry is finally waking up to the fact that menopausal skin sometimes needs a little more help. Stratum C has been created to work with the body’s own skin to increase the production of collagen to help protect the skin during the time when you need it most. 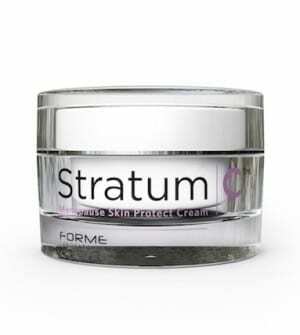 A luxurious facial day and night moisturising cream for all skin types incorporating Stratum C’s unique collagen producing peptide formula combined with the very best anti-wrinkle ingredient. Natural high quality Hyaluron plumps the skin and increases natural hydration and suppleness. Natural sources of Vitamins A and E, Hyaluronic Acid and peptides help to bring suppleness back to dry, dehydrated and dull skin caused by hormone changes during the menopause. Helps protect the skin from future damage while working on existing lines and wrinkles. A deeply hydrating moisturiser specifically formulated for skin going through menopause. Scientific trials have shown up to 70% increase in the production of collagen. Plumps the skin and increases natural hydration and suppleness. Time to spoil the boys!! Treatment of the week – to get Bikini ready try Shrinking Violet!!! How to get rid of those goose bumps on the back of your arms! !